Varun Dhawan Reignites the Magic in the Trailer of 'Judwaa 2'! It's been 20 years since David Dhawan's crazy comedy film Judwaa starring Salman Khan, cast a spell on Bollywood. Now, Bollywood's rising star Varun Dhawan is all set to bring back all the twins mania in Judwaa 2! The ever-entertaining & madness filled trailer of Judwaa 2 is out and it's exactly the roller-coaster ride people have been expecting, and so much more! Keeping with the original theme of the film, Judwaa 2 promises a trip down the crazy town with Varun enticing us with his double roles as 'Raja' and 'Prem'. And by the looks of it, Varun has managed to maintain the poise and style of Salman Khan, & then some. The trailer subtly slithers in the modern remixes of the hit songs Oonchi Hai Building and Tan Tana Tan. Even in his sixties, veteran director and king of comedy David Dhawan have shown that the turf belongs to him and with his signature humour and crazy dance sequences, this one is bound to take the cherry! The Dad-son duo of Varun and David is back with a bang to give us another fun-filled ride after the 2014 popcorn film, Mein Tera Hero. Produced by Sajid Nadiadwala, the film will also feature a special cameo by Salman Khan. Replacing the original female leads in the film Karisma Kapoor and Rambha, Judwaa 2 will have Jacqueline Fernandez and Taapsee Pannu taking over as two beautiful girls who get caught up in the all the chaos and confusion caused by the twin ruckus. 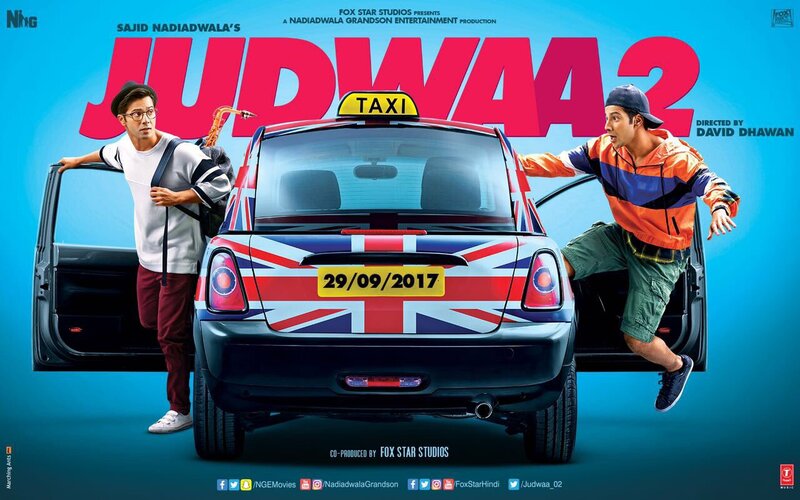 Judwaa 2 is slated to release on 29 September this year.